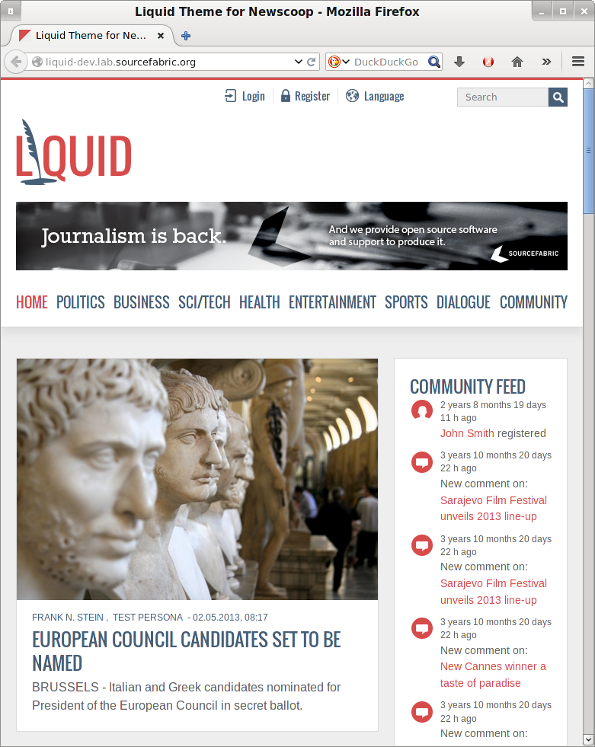 Newscoop is a multi-lingual enterprise content management system for online newspapers and magazines, enabling scheduled publishing of multimedia. The administration interface is built with the journalist, editor and publisher in mind, based on feedback from the news organizations around the world that have deployed Sourcefabric's newsroom software since the launch of the first version in 1999. Newscoop follows a print publishing model, so it structures websites as Publications, Issues, Sections and Articles by default. Newscoop was designed for medium-to-large online publications, but it is capable of handling nimbler sites too. 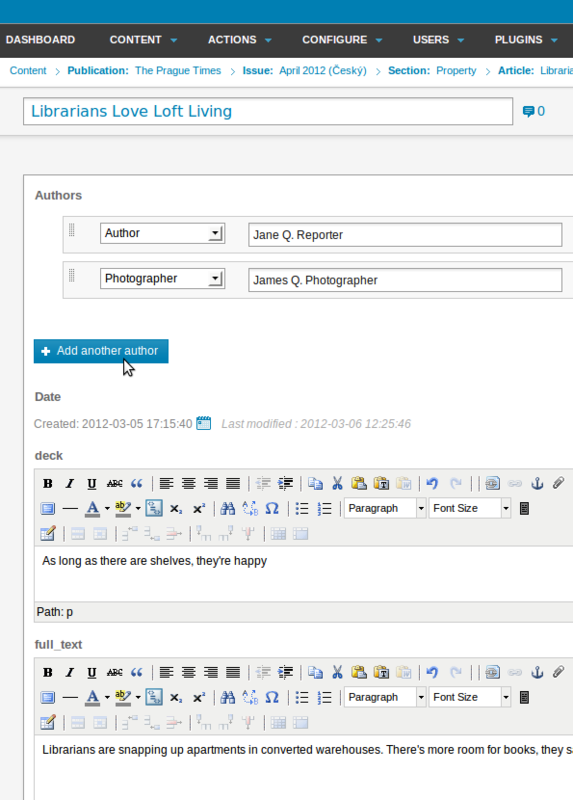 With Newscoop, you can edit articles using a WYSIWYG interface, and manage articles translated into different languages. A traditional editorial process ensures quality of content: the journalist writes the article, the editor reviews the content, and then the article can be published. The Newscoop administration interface works in most modern web browsers, including Mozilla Firefox, Google Chrome and Microsoft Internet Explorer. No browser plug-ins are necessary. You can also create your own definition of what a particular type of article should include. For example, one article type might consist of "Intro", "Body", and "References", while another type might include only "Body" and "Author Bio". You can incorporate images, audio and video into your articles, for delivery directly in the browser window or as attachments for download. Articles can be categorized with topics, and scheduled for release at a future date, or published immediately. Newscoop offers full control over the look and feel of your web site via a flexible HTML5 and CSS3 ready template engine. The PHP object-oriented API enables your website developers to build third-party Newscoop plug-ins too. Support for translation allows the administration interface to be adapted for new languages quickly and easily. Managers will appreciate the fine-grained access control for different types of staff users, including journalists, editors, and subscription managers. Newscoop is Open Source software released by Sourcefabric under the GNU General Public License version 3. It incorporates the TinyMCE WYSIWYG text editor and Plupload file handler from Moxiecode Systems AB, Christophe Dolivet's EditArea as a template editor, and PhotoViewer by Joseph Nicora for thumbnail zooming. Geographical data is provided by GeoNames. Managed hosting for Newscoop servers, templating, deployment and customisation services are taken care of for TagesWoche as part of the Sourcefabric service.